If you are a stepmom, you know the challenges that come with having a blended family. As America evolves, it is becoming more common for the Brady Bunch concept to be a part of family norms. CEOMOM had the privilege of speaking with Yandy Smith, media mogul, star of Love and Hip Hop New York, mother of 2 and now author, about her own blended family. Yandy has written a children’s book, “My Blended Family,” that tells the story of 2 families that may not fit societal ideas, but are normal and loving nonetheless. This entertainment powerhouse who is known for her tenacity and exceptional ability to elevate a brand, exhibits the same passion and resourcefulness for her family as she does for her professional ventures. 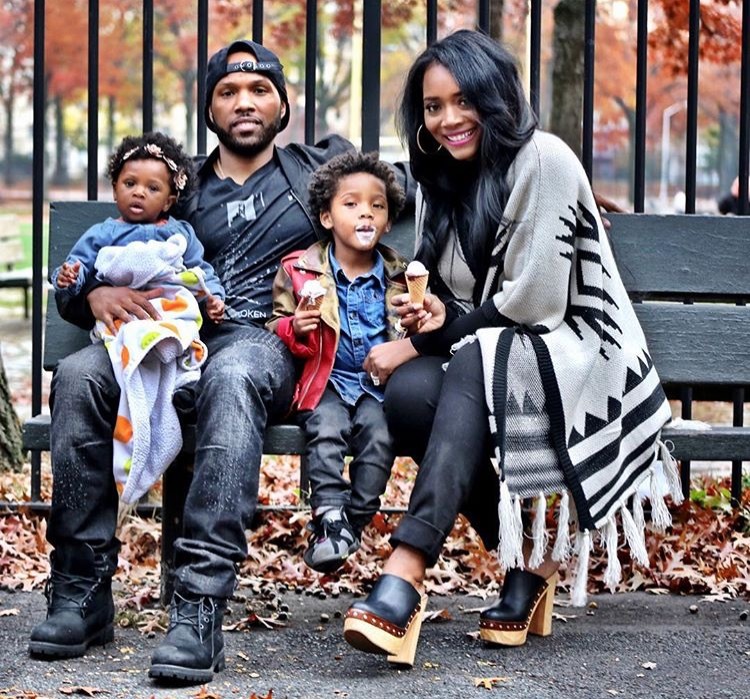 Read how Yandy manages being a media mogul with managing a blended family. “My Blended Family” is a book that evolved from a very personal experience. We, of course, are in a blended family. My son’s older brother could not make it to his birthday party, because of a prior obligation with his mommy. My son was completely disappointed that his brother wasn’t coming to his birthday party. He was more distraught that his brother had a different mommy. For that reason, I created this book for parents to have an easier way to explain to their children that some families are different, but they are still normal. I wanted him to know that he is not alone. He is not the only kid who has siblings with different families or parents. He fell in love with the book, because the kids in the book look like him and his siblings. It is good to have books that have roles and characters your kids can relate to or look like them. Give us a brief summary of the book. The book tells two stories, Weekend Visit and Birthday Party. The families are made up of a mommy and daddy. It is also made up of a stepmom who lives with the daddy. The family dynamic is like most families. They wake up on the weekend, play and have family time. It is reminiscent of modern day families that are blended. One of the brothers lives somewhere else and comes over and spends time with dad, too. When the big brother goes home to his mommy’s house he talks to his little brother and tells him that he has to spend time with his other family. These situations happen in my family all of the time. This will help my son realize that his brother doesn’t love him any less. What are some of the biggest challenges of having a blended family? One of the biggest challenges is making sure communication is consistent across the board regarding everything from schooling to discipline to what you want your children to eat. In my house, I treat every child the same whether I birthed them or not. When you are dealing with parents who are not in your household it can be challenging to maintain consistency. For example, you may have to figure out a disciplinary plan that works for both households or even a bedtime routine. Getting home after 7:00 every night, an eight o’clock bedtime doesn’t work for my family. I want to spend time with my kids when I get home laughing and playing games. That is difficult for me because I want to be respectful of my stepkids’ usual routines, but want to spend time with them as well. Communication and the right understanding from everybody is important to making a blended family work. What advice do you have for moms who are new to being a part of a blended family? First develop your own love for the child. I think that’s the most important thing. When you love the child there are a lot of things that happen naturally. It won’t have to be a situation where you are thinking this is his child and not my child; these are our children. After that, definitely develop a relationship with the mom. Have a mutual understanding of how the child is raised in his household. If possible, go to that parent’s house and try to learn what the routine is so you can duplicate that at your home. There’s a lot of compromise that has to happen. How do you balance being a media mogul with managing a blended family? Everyday the balance changes. The balance doesn’t mean 50/50, fifty percent of the time at work and 50 percent with your kids. Sometimes the balance means 70/30 or even 60/40. Today for instance, I am not doing anything that is going to take me away from my children. Today is their day. Today is 90/10, because I was gone last week. Understand what balance means to you and understand that it will change. We have to figure out how not to beat ourselves up. I feel guilty every time I have to travel for work. I remind myself that I am not doing this to buy bags and cars. I do this so my kids can be involved in acting and dancing and I can pay for private school. The quality I want to give them requires my time at work. I think as a mom and dad it is important to have the conversations with ourselves about balancing and prioritizing and why we do the things we do. It’s the why that reminds you, you are doing what you do for your children. What’s next in the “My Blended Family” book series? Right now, we are trying to figure out if we want the next book to be about bullying, including cyber bullying. My son attended a school camp recently. One of the parents talked to me about her son who was being bullied, because he was different and felt left out. I kept thinking, “Is this the future for my son?” These things happen with children all of the time. I feel there needs to be something to explain bullying to a child. In my book, I want to provide tips on how to get through bullying. When children can read in their favorite book or see other kids going through the same things they are, they feel better. They feel like they can talk to their parents. 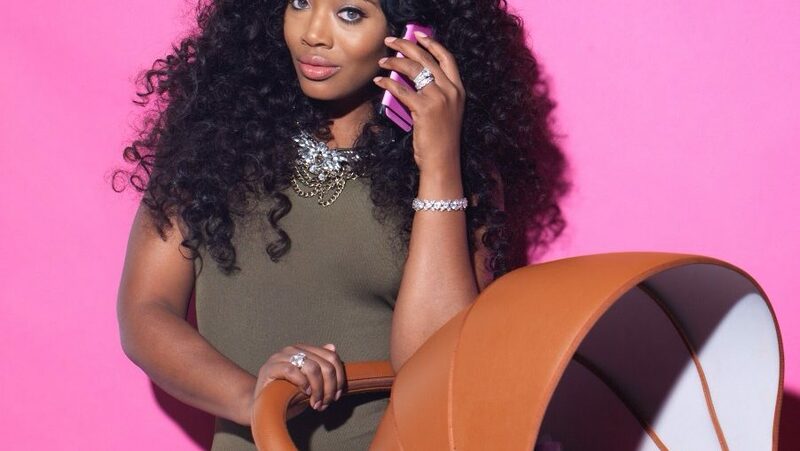 What’s next for Yandy Smith? I am super excited about my new company, Everything Girls Love Entertainment. We opened up a huge production facility in Atlanta. We can shoot movies, reality shows and green screens. My new passion is television production and film producing. I am in negotiations to produce the shows we’ve written. I want to do reality television and spotlight women bosses and women in business. There will be several announcements happening soon. You can learn more about “My Blended Family here. Love her mind set . keep pushing baby girl .